What made me purchase the first book in this series, Tilt-a-Whirl? I have no clue. But I can tell you that once I got around to finally listening to the book, I was happy that I did. I very quickly became obsessed with the series, listening to all eight of them in a little over a week. I became so obsessed with them that I had to buy several extra credits with Audible just to be able to continue on my listening spree. While the books are considered mystery-thrillers, I find that they have almost a beach-read type quality - they do take place on the Jersey shore. Maybe this is why I listened to them so frantically? After all, it's April and we're still getting dumped on with snow; I'm ready for the warm weather. Not your typical serious mystery-thriller, but fun and silly. This is one set of books I would take with me to the beach, plop down in the sand and devour while soaking up the sunshine! 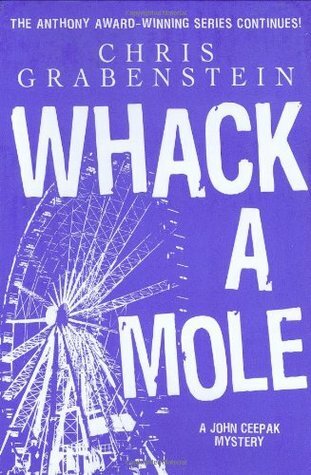 There isn't much fun in the sun when a billionaire real-estate tycoon is found murdered on the Tilt-a-Whirl at a seedy seaside amusement park in the otherwise quiet summer tourist town of Sea Haven. John Ceepak, a former MP just back from Iraq, has just joined the Sea Haven police department. The job offer came from an old Army buddy who hoped to give Ceepak at least a summer's worth of rest and relaxation to help him forget the horrors of war. Instead, Ceepak will head up the murder investigation. He is partnered with Danny Boyle, a 24-year-old part-time summer cop who doesn't carry a gun and only works with the police by day so he has enough pocket money left over to play with his beach buddies at night. In the first novel in a new series written in the spirit of Carl Hiaasen's work, the Tilt-a-Whirl murder pushes Ceepak's deep sense of honor and integrity to the limits, as unexpected twists and turns keep the truth spinning wildly in every direction. 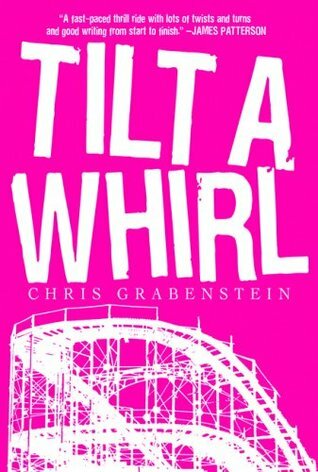 It's almost Labor Day, and the end of summer could mean the end of someone's life in this exciting sequel to Chris Grabenstein's Tilt-a-Whirl. Young Danny Boyle, the part-time summer cop "down the shore" in Sea Haven, New Jersey, gets taken on a wild ride when he and his longtime beach buddies become the unwitting targets of a madman's twisted scheme for revenge. Fortunately, John Ceepak, the cop with a soldier's unshakable code of honor, stays at Danny's side to help him negotiate the quick twists and turns that threaten to destroy his life, his friends, and everything about the world he loves. Whipping from the boardwalk to the beach and back again, Mad Mouse keeps zigging and zagging at a breakneck pace, all the way to the surprising finish. John Ceepak and Danny Boyle return with the hunt for a long-dormant serial killer who might be ready to strike again. An innocent discovery on the beach in Sea Haven pits Ceepak against a killer with a code just as rigid as his own. When the killer targets his next victim, the consequences becomes dire for Ceepak and Boyle. This is a game they must win. Hell Hole is the fourth book in the mystery series featuring hardened former military PD and current Sea Haven, New Jersey, police officer John Ceepak and his partner, wise-cracking Danny Boyle. In Hell Hole, Ceepak is confronted with his most personal case yet when he must investigate the alleged suicide of a military corporal who recently returned from Iraq. When it turns out that this "locked stall" rest-stop suicide is anything but an open-and-shut case, Ceepak and Boyle realize that the corporal might have been privy to information that opens up a much larger conspiracy - one that strikes at the heart of our involvement in the Middle East and puts them on the wrong side of some very unpleasant people. John Ceepak and Danny Boyle are making the rounds in Atlantic City when Danny runs into his former crush, Katie. She's working for a magician named Rock, and her life seems to be in better order than Boyle could have hoped for. But Ceepak and Boyle soon find themselves on another case when Katie is found strangled to death. It is up to Ceepak and Boyle to find out who killed her. Their lives and the lives of others depend on it. 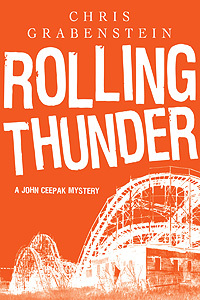 There's more fireworks down the Jersey shore in Chris Grabenstein's sixth fast-paced John Ceepak mystery, Rolling Thunder. A prominent citizen suffers a heart attack on opening day of a brand new boardwalk roller coaster in the seedy seaside resort town Sea Haven, New Jersey. Initially ruled a tragic accident, it isn't long before there are suspicious hints of foul play, especially after another dead body is discovered: a stunning young beach beauty. Fortunately for mystery lovers, the straight-arrow cop John Ceepak and his wise-cracking young partner Danny Boyle are on the case, a detective/sidekick duo critics have compared to Rex Stout's Nero Wolfe and Archie Goodwin. 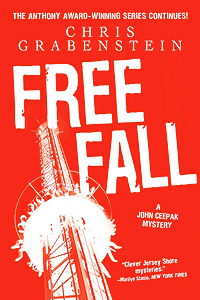 Crack another case with John Ceepak. 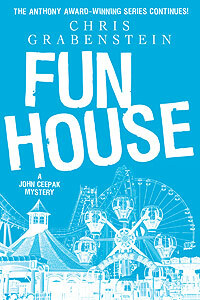 Fun House is the latest novel in the award-winning John Ceepak mystery series, set on the Jersey Shore. What if a reality TV show like Jersey Shore set up production in the fictional seaside resort Sea Haven? What if hitting the gym, tanning, and doing a little laundry aren't the only things the contestants get into? By-the-book officer John Ceepak and his wisecracking young partner, Danny Boyle, have to babysit the buff and boozy kids partying it up in a Jersey Shore rental house for TV’s summertime hit Fun House, while simultaneously trying to stop the rowdy kids from breaking the law up and down the beach. But even Ceepak and Danny can’t stop one young cast member from being murdered - and others from being threatened with the same fate. “I didn’t do it!” is something cops hear all the time. But when the plea comes from a close friend who’s fallen on hard times, it’s tougher to ignore, especially for young Officer Danny Boyle. 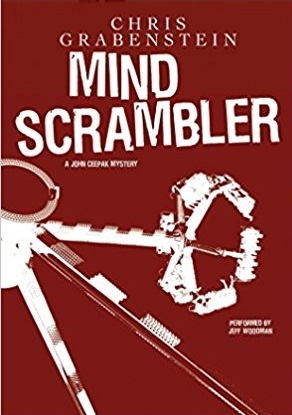 It’s the start of another action-packed summer for the wisecracking Boyle and straight-arrow cop (now chief of detectives) John Ceepak down the Jersey Shore as they do their best to help Danny’s friend, a young nurse who claims she has been falsely accused of aggravated assault by a prestigious Sea Haven doctor. Ceepak’s unshakable code of honor is tested when he trusts that the nurse is telling the truth. It’s stretched to the limit when one of the nurse’s home health care patients turns up dead. Now Ceepak and Danny must answer the hard and horrible question: "Did we just help a friend get away with murder?" 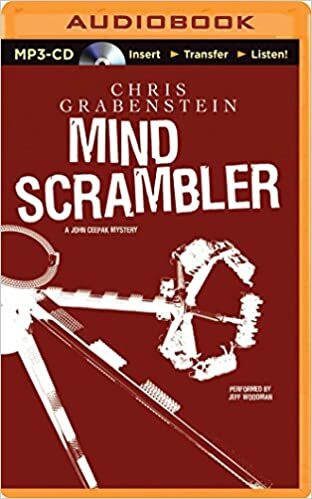 Get ready for another fun and fast-paced listen from Anthony and Agatha award-winner Chris Grabenstein.